Clinton Goes Batty! – Welcome to Swillburg! 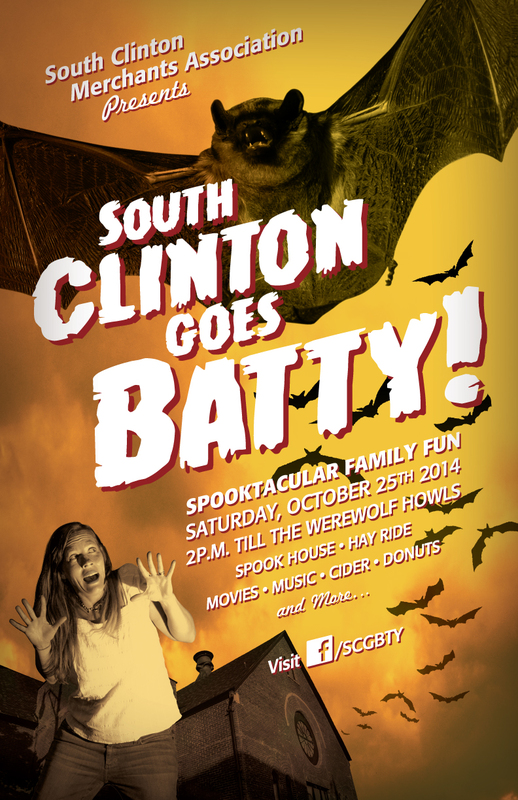 On Saturday, October 25th, The South Clinton Merchants Association will host the event, “Clinton Goes Batty”. The family-friendly event will feature a spook house for kids, a hayride, crafts, scary movies at the Cinema Theater, promotions at many of the stores on South Clinton, and donuts and cider. The Swillburg Neighborhood is co-sponsoring the event. A portion of proceeds from business sales will go to help Crossroads Coffee House rebuild after their fire. Needless to say, we’re excited. Mark your calendars – we want to pack the avenue for a great night of family fun. If you’d like to sign-up to volunteer at the event, let us know!